Neil, this thread is dedicated to you. I have owned this bus for 10 years, and for the past three years it has been pushed in the corner of our shop as a painted shell untouched. 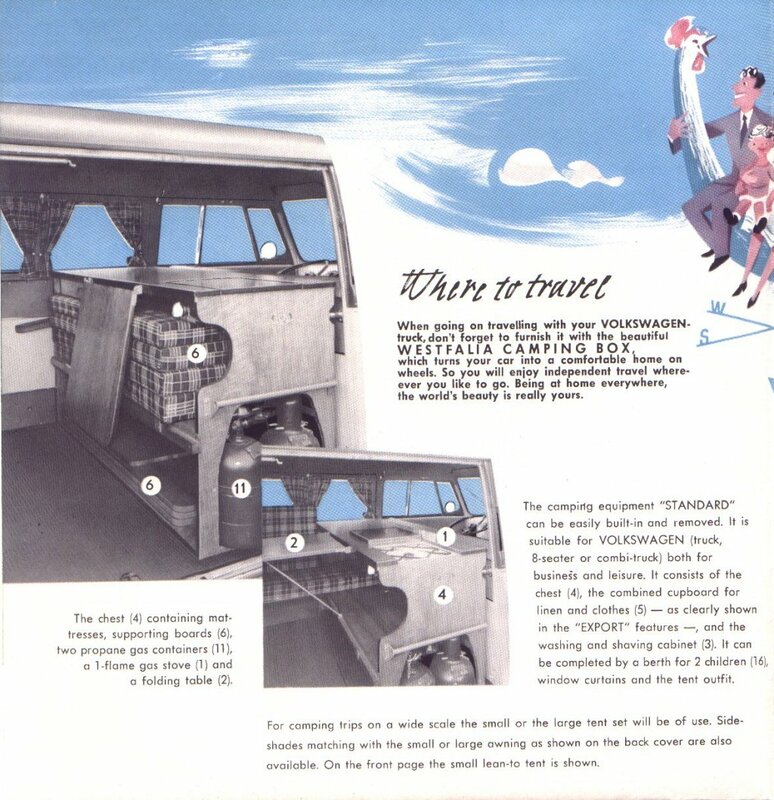 It was built October 5th 1955, was shipped to Riviera Motors LTD., San Francisco, and from there it was distributed to the Strongs dealership in Salt Lake City where it was sold new. 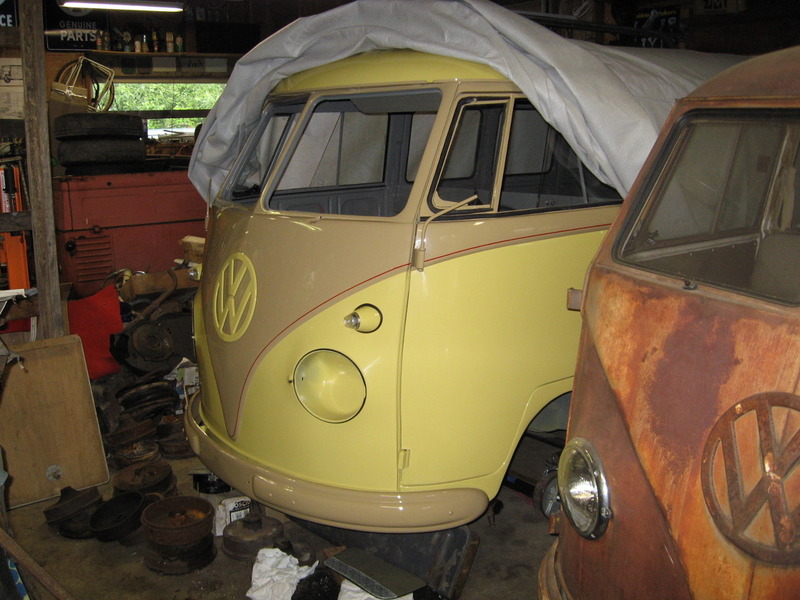 I have recently been getting an itch to finish the restoration, and with pressure from npbusguy I have decided to start this thread to serve as a restoration diary. Thats a great lokking bus Greg! Will you be posting any old pics too? Love to see what has been done to get it to look as nice as it does now. It might take some time, but I will try to tell the story from the beginning and then I will move forward. Great Bus Greg. I am definately looking forward to seeing come together. wow Greg! loving to see more! This bus carries a chassis number of 20-147 419, body number 141549, and an engine number of 20-1186151. It was bought new by the Hutt family who lived in Logan, Utah. 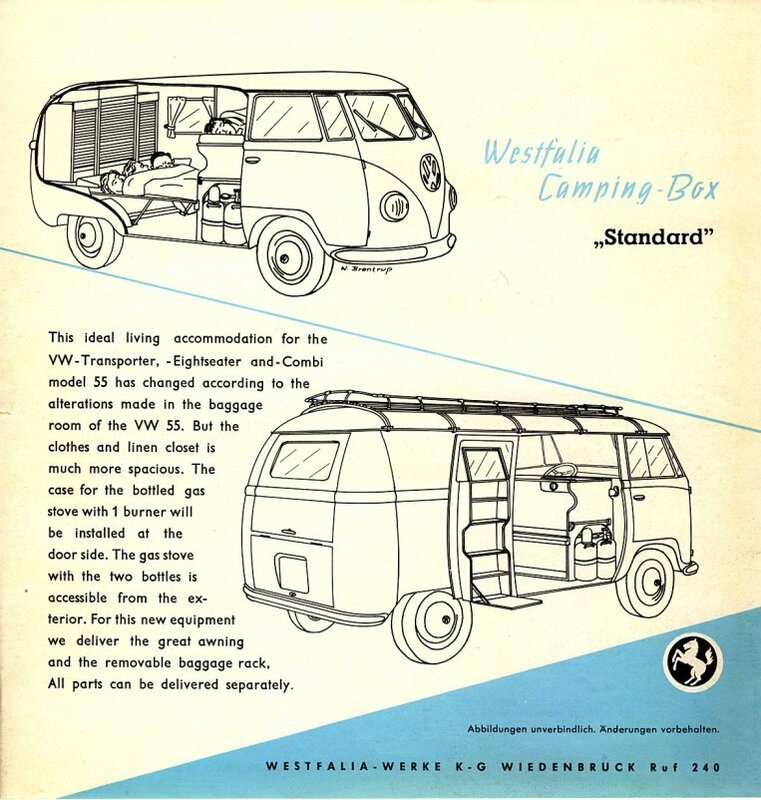 According to a telephone conversation I had with Dale a few years back, he saw an article in the July '55 issue of Popular Mechanics and decided to order a VW camper through his local dealership. 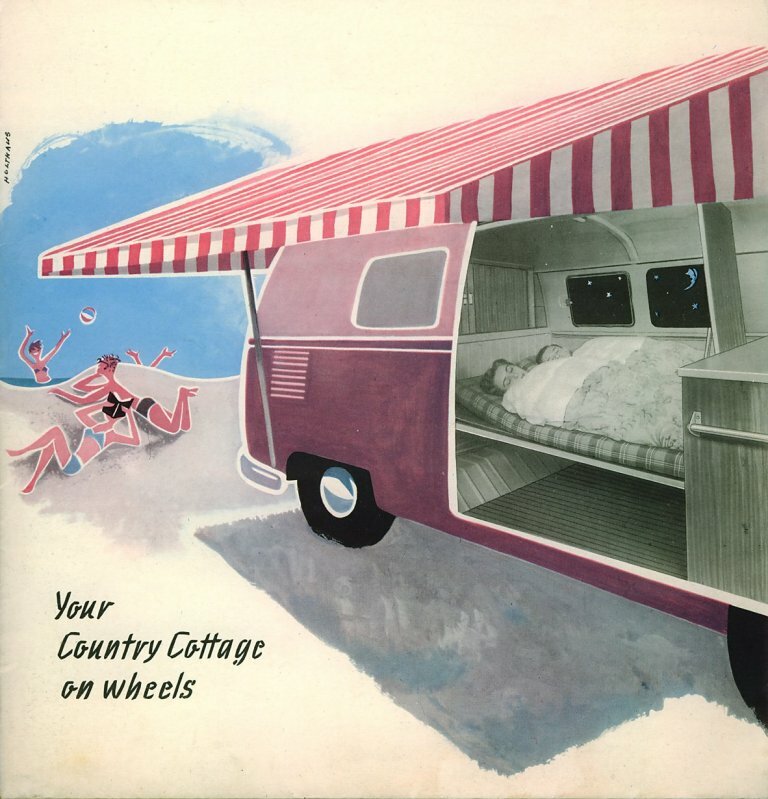 The closest dealership was the Strongs dealership in Salt Lake City, which has opened a few months earlier in 1955. He said he had to wait a few months for the bus to come in, and he recalls his sticker shock at the purchase price of $3200. 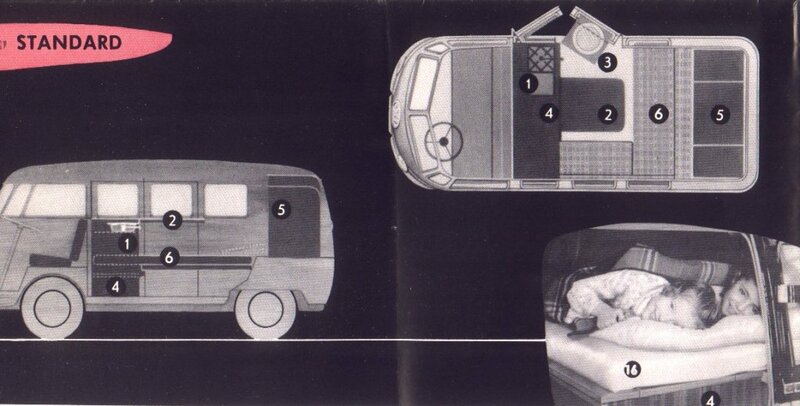 He passed on extras such as the roof rack and the tent, saying the tent looked awfully difficult to set up. According to Dale the bus drew attention wherever it went with it's unusual yellow & tan paint scheme. 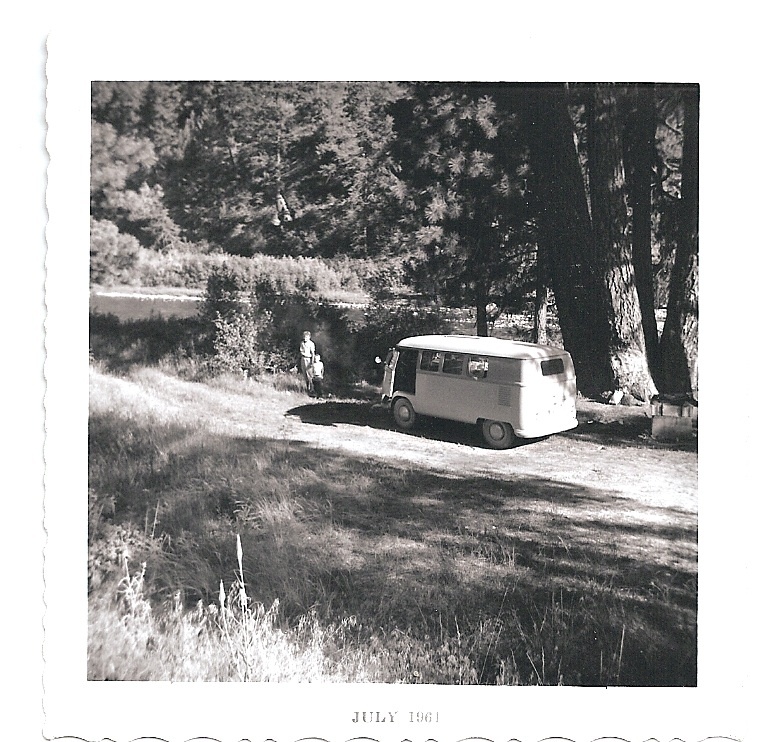 He recalled taking a trip to Indiana in the bus with his wife Dorothy and his six children a few years after they bought it. They also visited Purdue university, Dale graduated from that university in 1936. He mentioned traveling through Arizona, and said that it was so windy on the highway he told the kids to get out and push the bus up the hill. 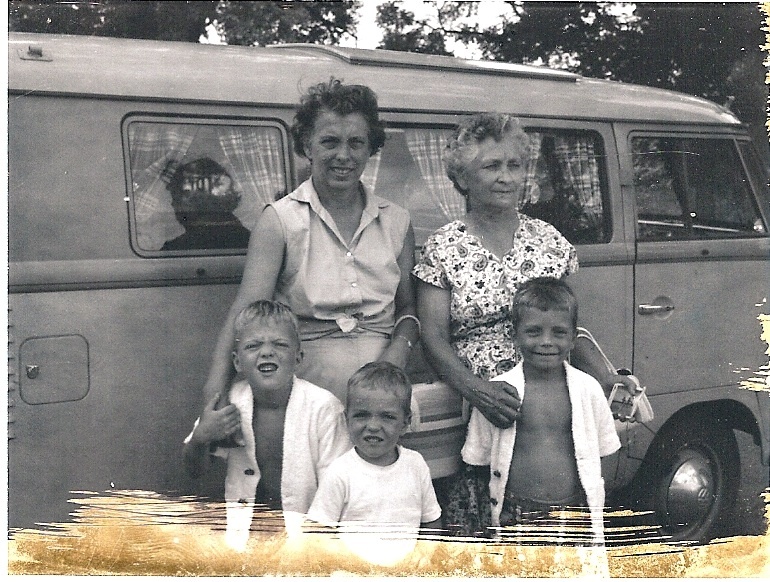 In 1959 the family moved to Boise, Idaho. Their oldest child, Sandee, who was 10 when they bought the bus in 1955, says she learned how to drive in that bus. 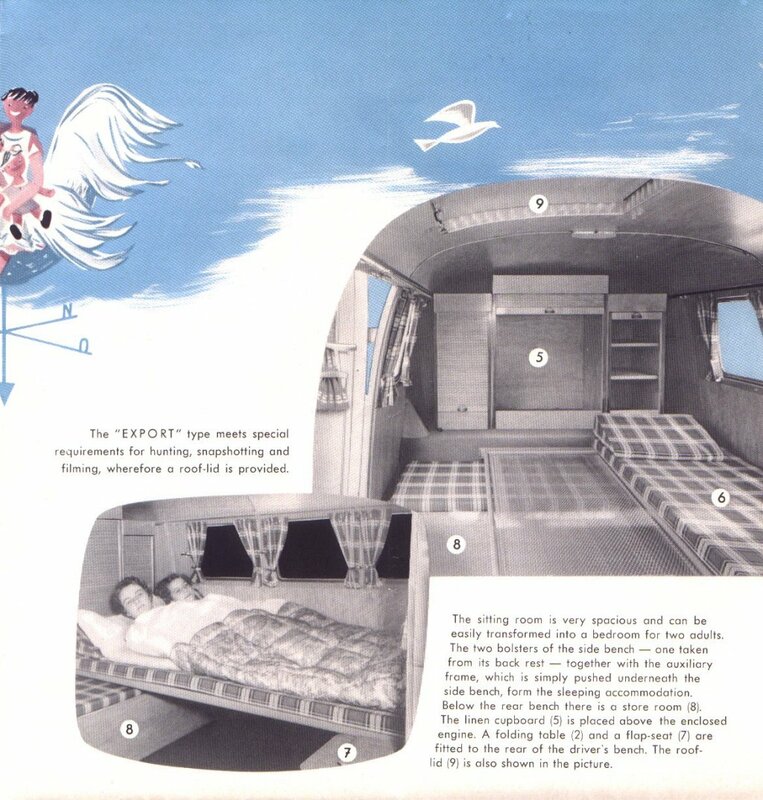 She also told me that they had taken the bus back to the dealership and bought a middle seat for it, as the camper interior was not suitable for a family of 8. Dale & Dorothy passed away a few years ago, but I have still been in touch with their daughter Sandee who now lives in New York City. 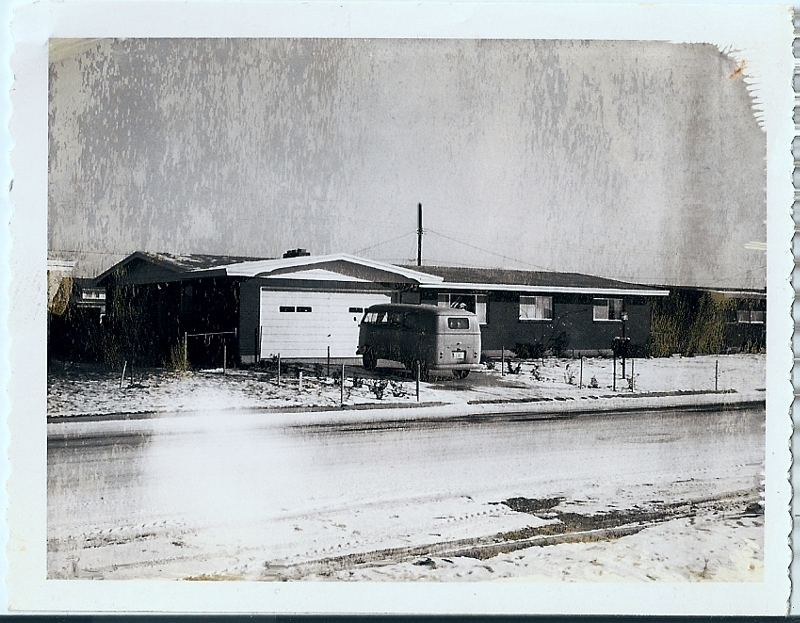 The Hutt driveway in Logan, Utah ~ 1956. Hopefully she will send me more. 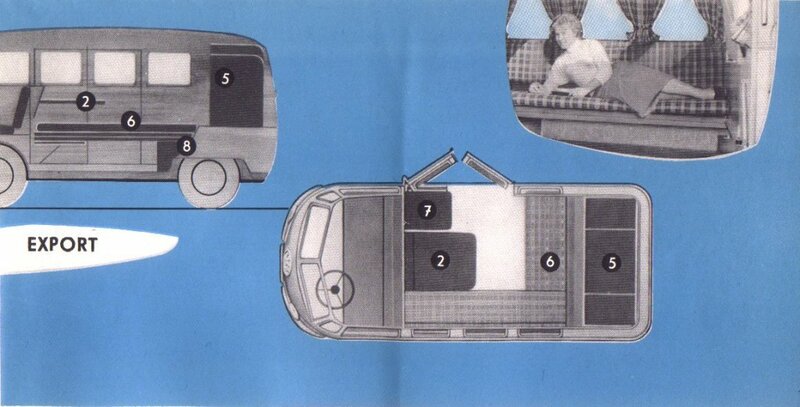 Cool to see this bus get a thread, I've seen reference and photos to it for years now. I admire your patience with its restoration. 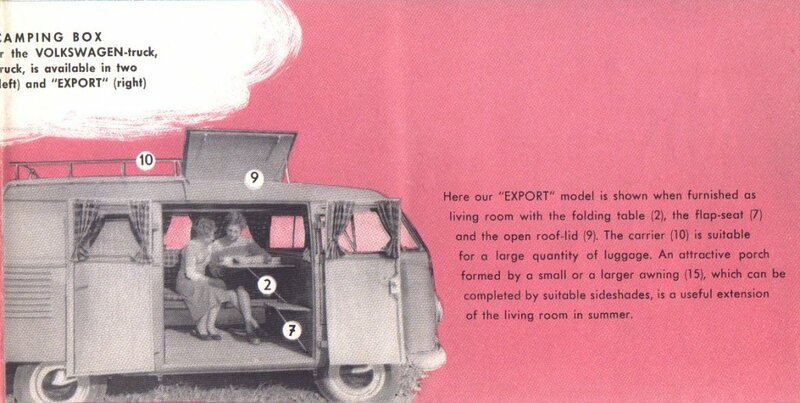 20-147 419 is the "Campingbox Export model". I have been waiting for this thread to happen! Looking forward to it, that is a great colour scheme. Please tell the whole story when you have a moment.. I had seen pictures of it, several times, and I had always wondered why it was never finished. I had wished that it was in my garage. Who did the restoration work on it? It looks awfully good. .........very cool. Absolutely love the color and great history. BTW do you have its interior? 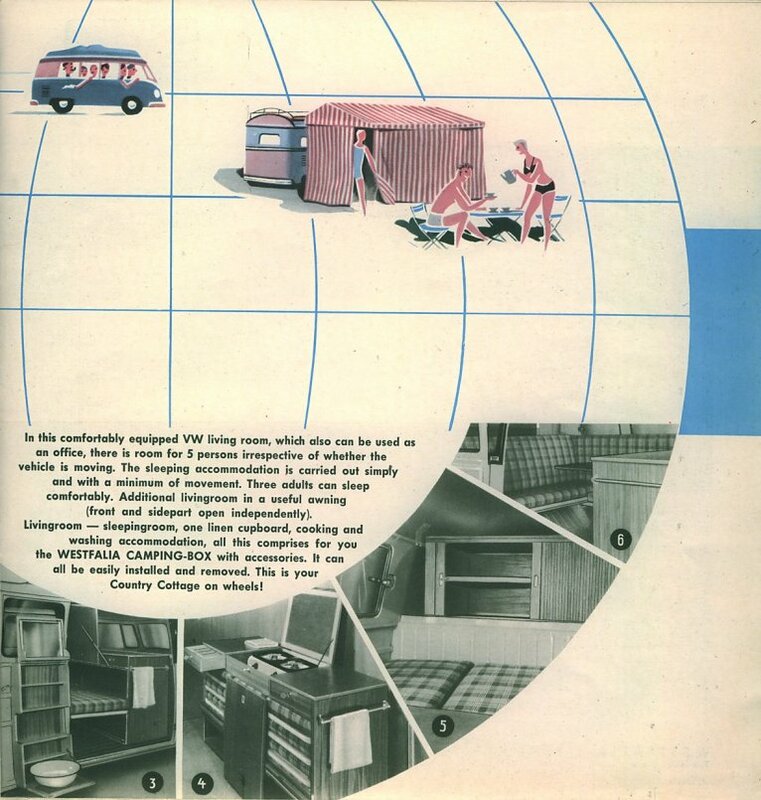 On the back page of the brochure, it states that the export models were available in an "Enamel finish in two colours of our choice". 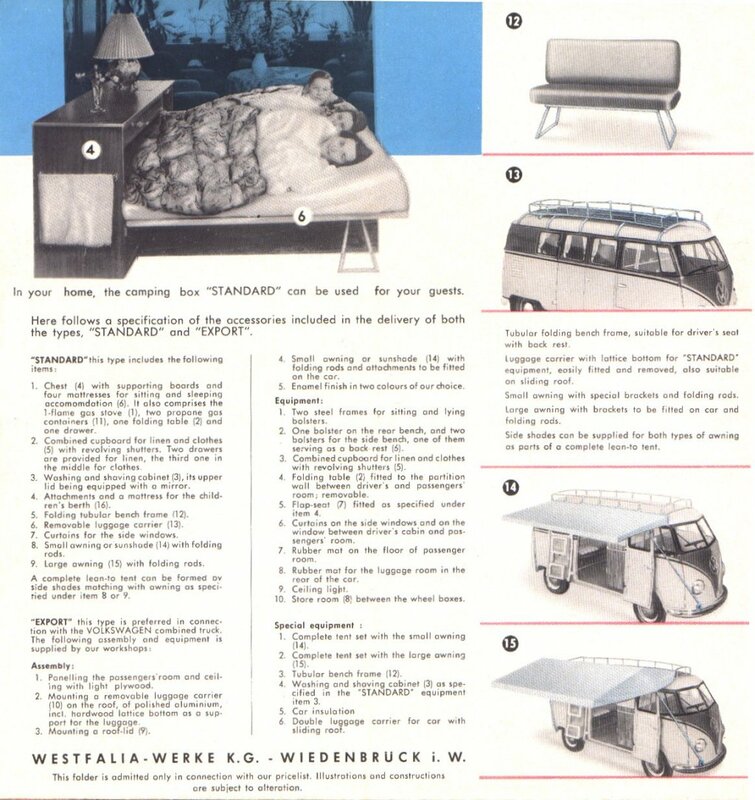 There are two ways you can interpret this, either you can get the bus in dove blue or a colour of our choosing, or you can get it in a two tone finish our our choosing. 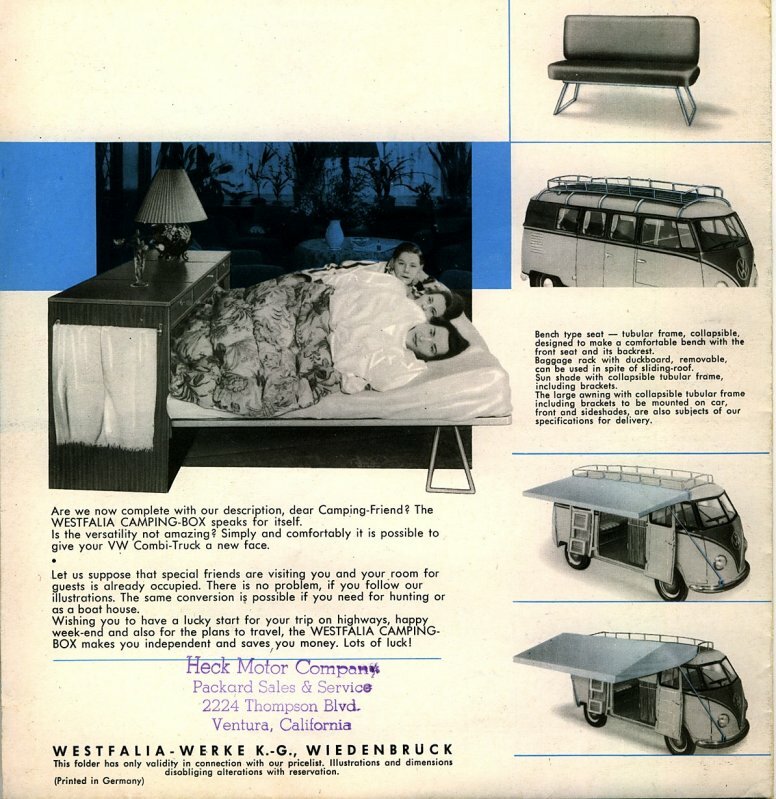 I believe it meant you could either get it in dove blue or a a two-tone finish that Westfalia chose. 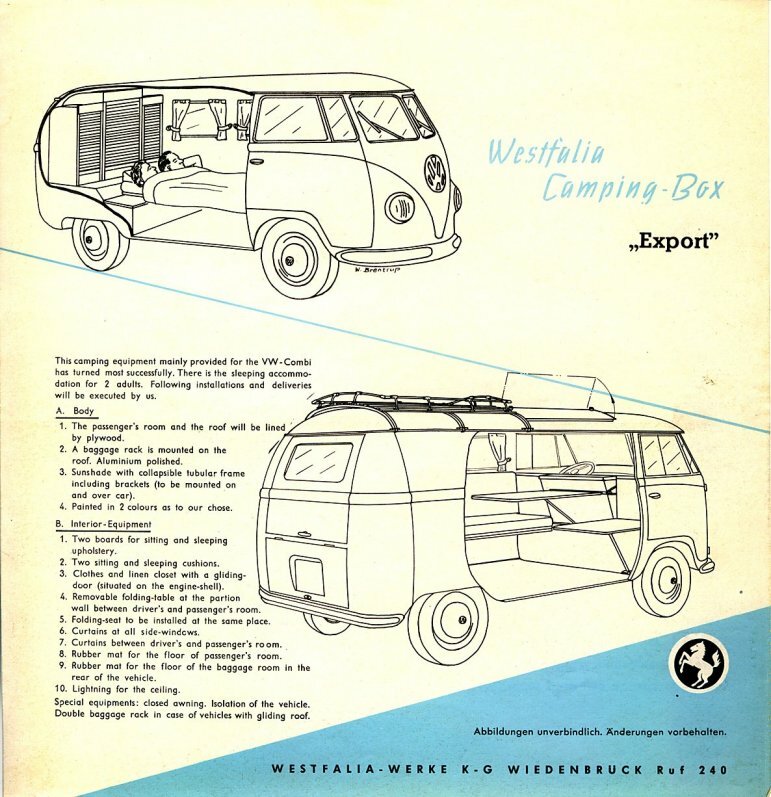 There are several known paint schemes that Westfalia used such as beige/grey/beige, beige/burgandy/beige, light green/dark green/light green, and grey/blue/grey. 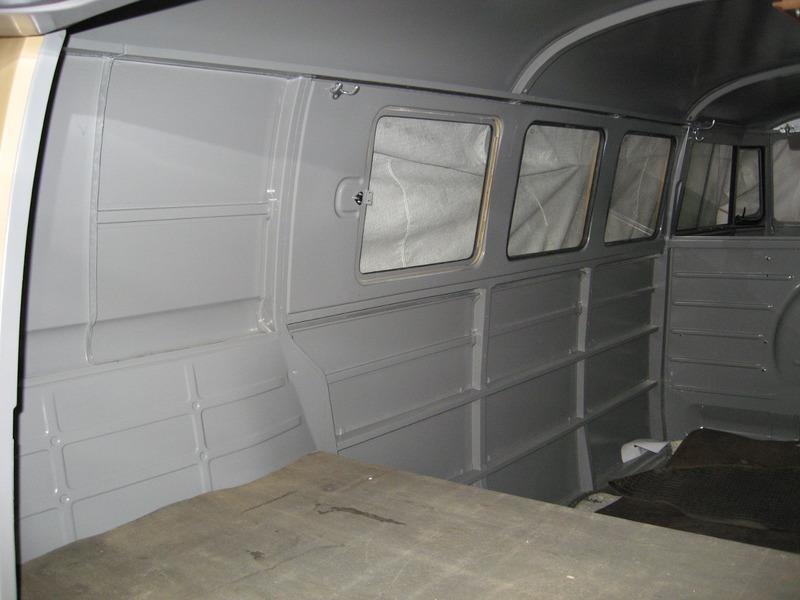 This specific bus was delivered to Westfalia fully assembled and in primer, and then painted at their factory in a colour of their choosing. I do not know how many they painted in this exact color scheme, but there are two other survivors. 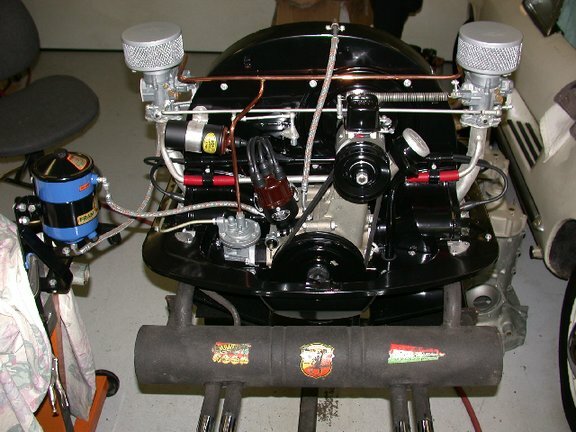 One is owned by Jim Phillips who resides in Massachussets, and the second is owned by someone who would likely prefer not to be named in California. Both of these busses are within a couple of hundred VIN #'s of 147 419, so they were probably all pushed into the spray booth in succession. 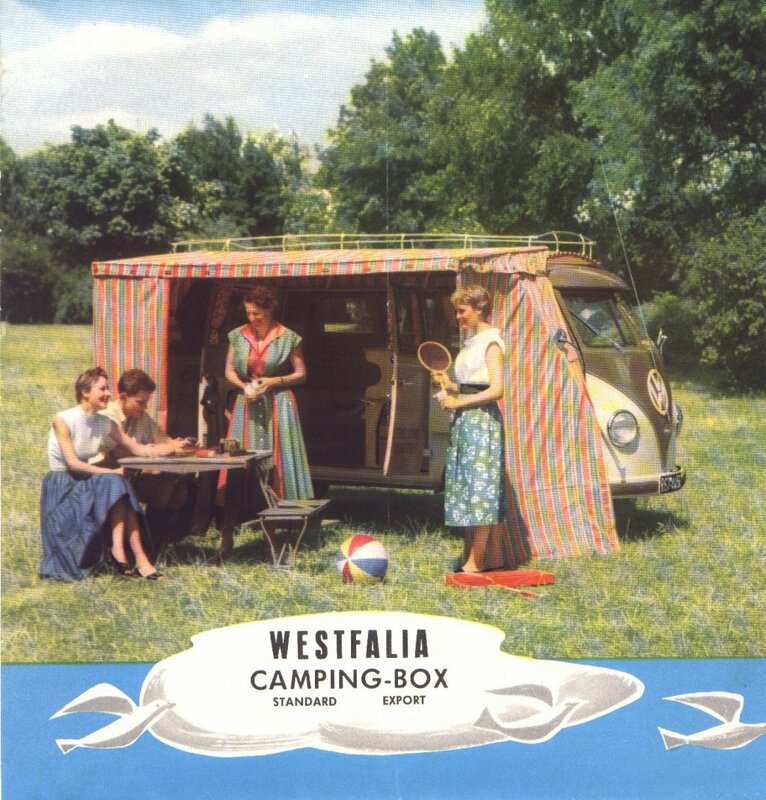 The paintwork on these Westfalia painted examples was fairly crude, and was not as well done as you would have found on the VW assembly line. 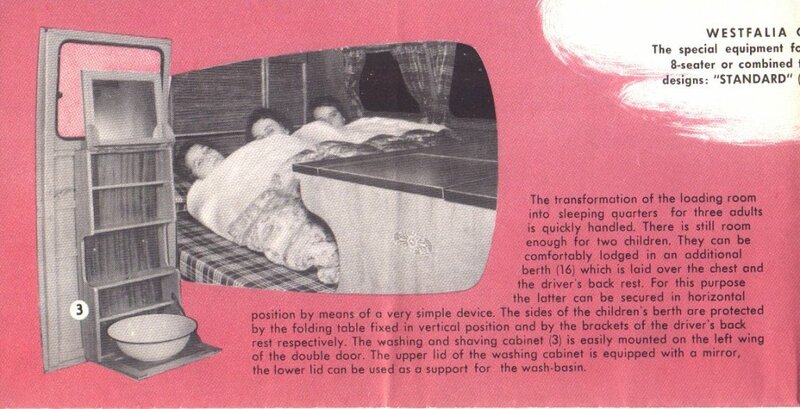 It is because of this that I believe fewer remaining examples still exist today. 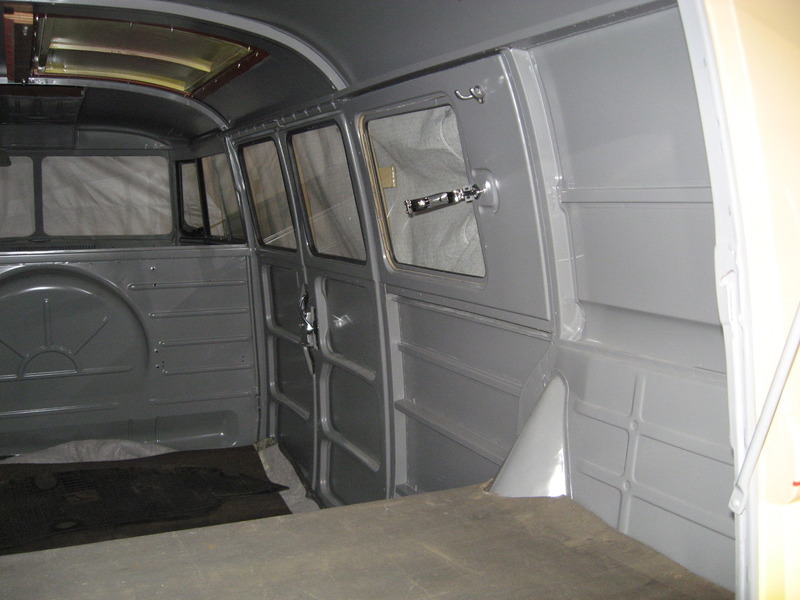 The bus was painted with all of the windows and doors in place, so when you dissasemble parts of the bus you will find factory primer. 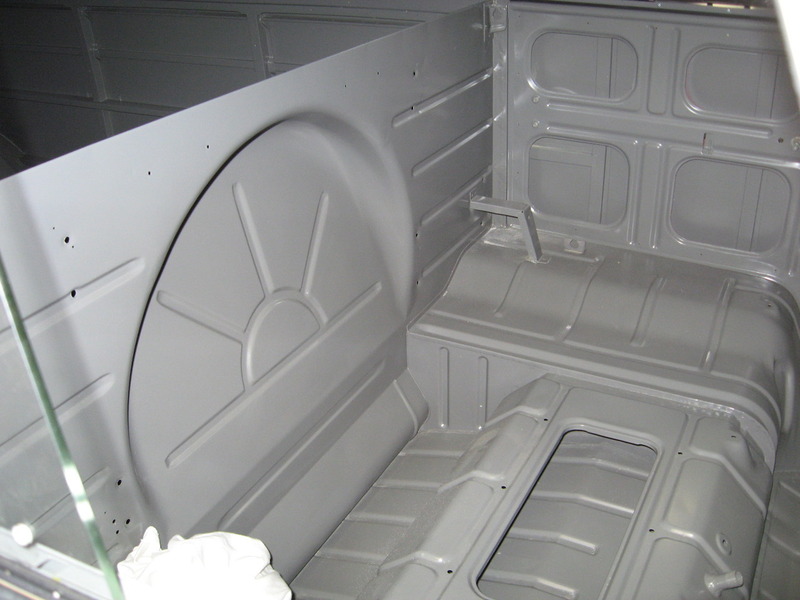 The entire engine compartment was left in primer, and only the outter edges of the cab floor got paint. This left key areas without an extra layer of protection that paint would have provided. 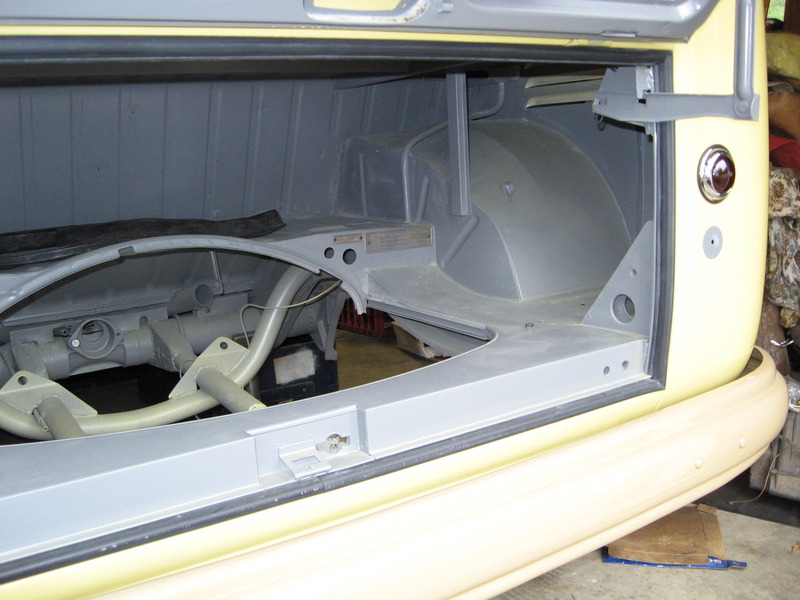 The entire interior was painted by hand with a brush, as was the window frames and the rims. 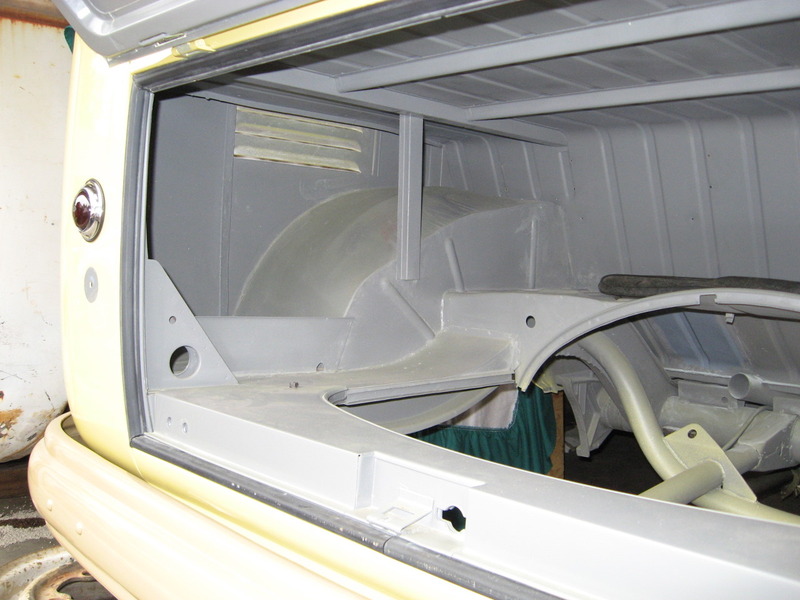 Certain parts like bumpers were removed for painting, but other pieces like the emblem, turn signals, taillights, window glass, and reflectors were left in place and masked off. When 20-147 419 was repainted, we tried to recreate this painting method as best possible. It was alot of extra work, but it seemed like the thing to do at the time. The bus was nearly complete when I bought it. 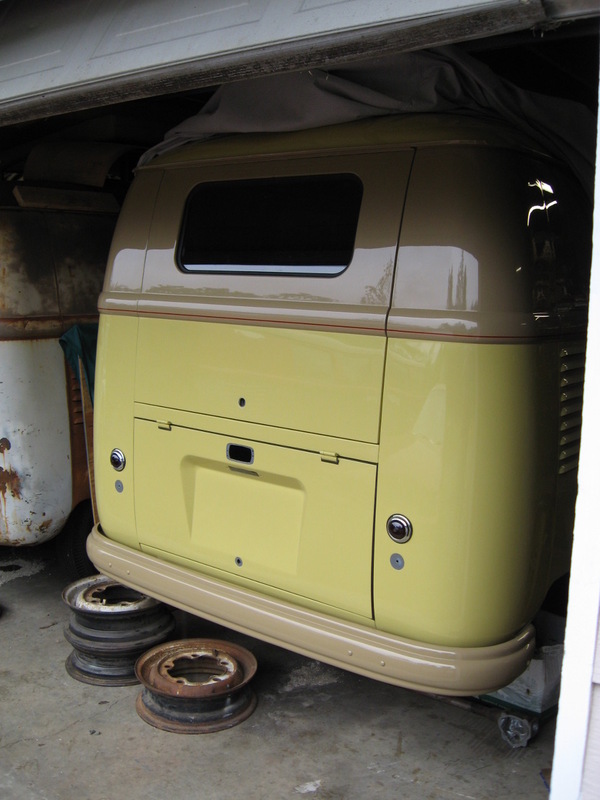 It had all of the often missing pieces like bumpers, taillights, and reflectors, all of which were original to the bus. 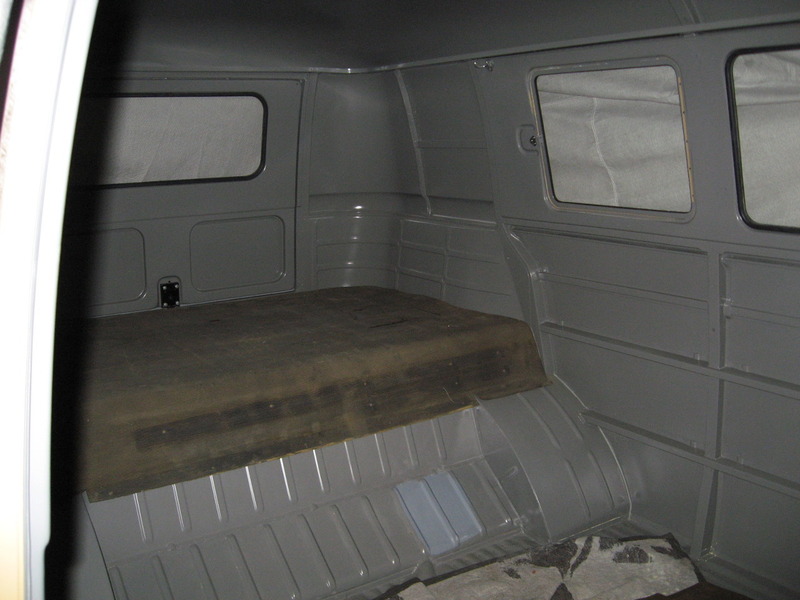 The interior was complete with the exception of one coathook and the rear roll up cabinet set. 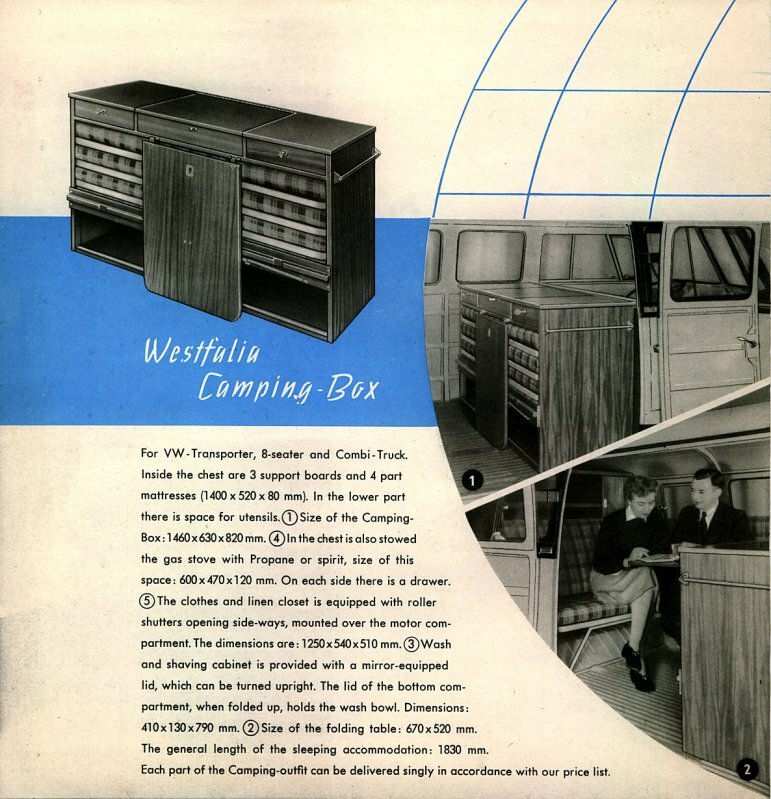 The original roll-up cabinet set was found on the estate of one of the previous owners, I will get to that story later. The coathook was hard to find because it seems to be unique to 10/55 & earlier Westfalias. The screw spacing and hook spacing of these early hooks differs from the often seen ones. The only key pieces missing were the roof rack and the correct tent, and I have since located a correct tent and roof rack. The bus has never had a deadline to finish it, so I always figured why rush it. It has been tucked away ignored in the corner of the shop and I recently have been getting the itch to finish it. I figured the best way to get that kicked off was to document the history and the work to done to date. 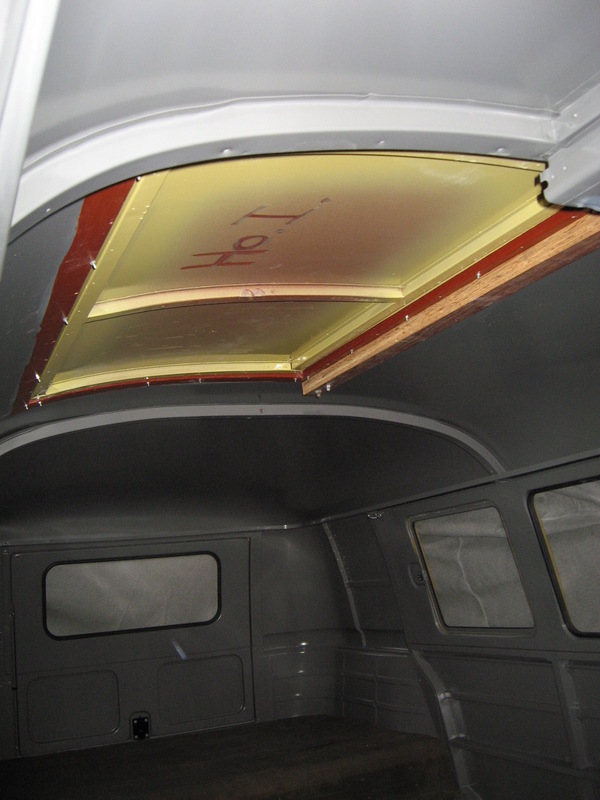 The rust repair was done using dry original donor sheet metal by Charlie Hammil of the Bus Stop in Westminster, California. 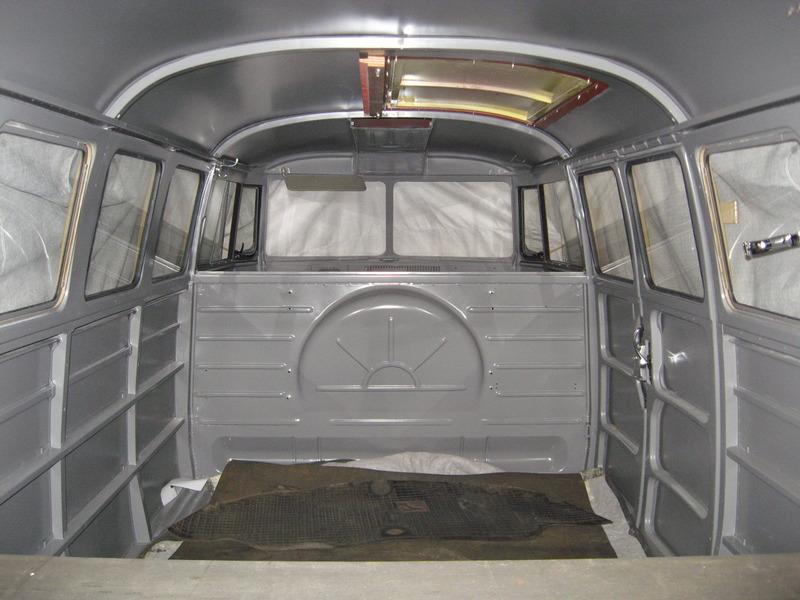 This included inner and outter rockers on both sides, a few isolated patches to the cargo floor, both doglegs, and the right side wedge on the cab floor. These repairs were done between 2001 and 2003. 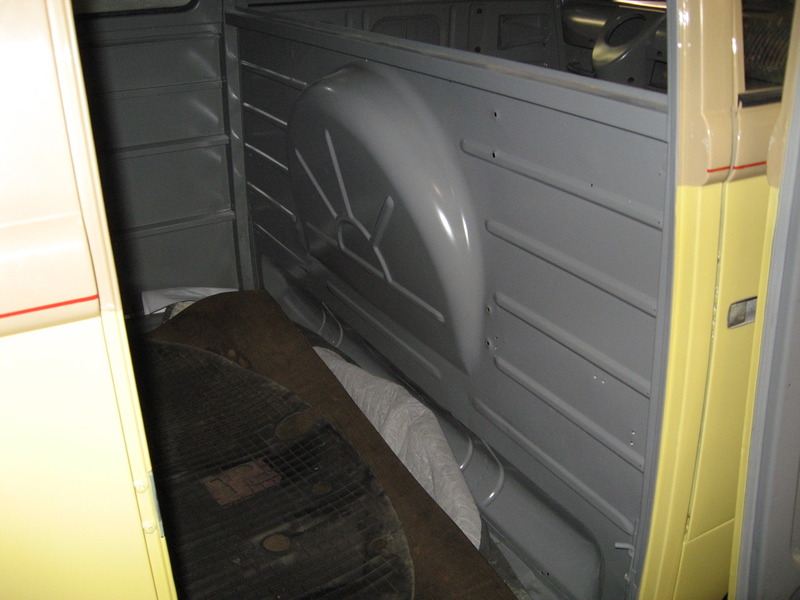 The bus was actually in pretty good shape, and usual common spots like the lower corners, battery trays, roof, and nose sections were in great shape and needed no repairs. 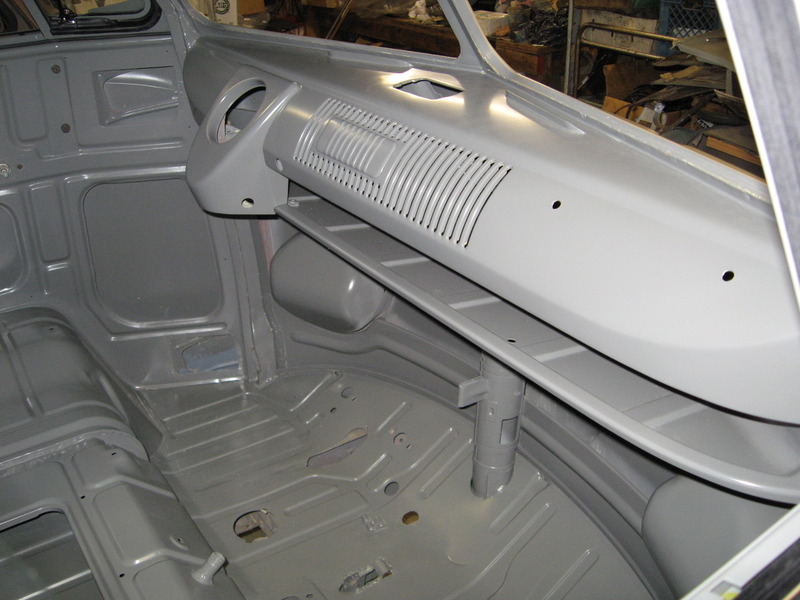 Mark Lapriore of Lapriore Restorations handled the majority of the finish bodywork (with help), and he painted it. These repairs were done between 2003 and 2007.